H.E. Amb. 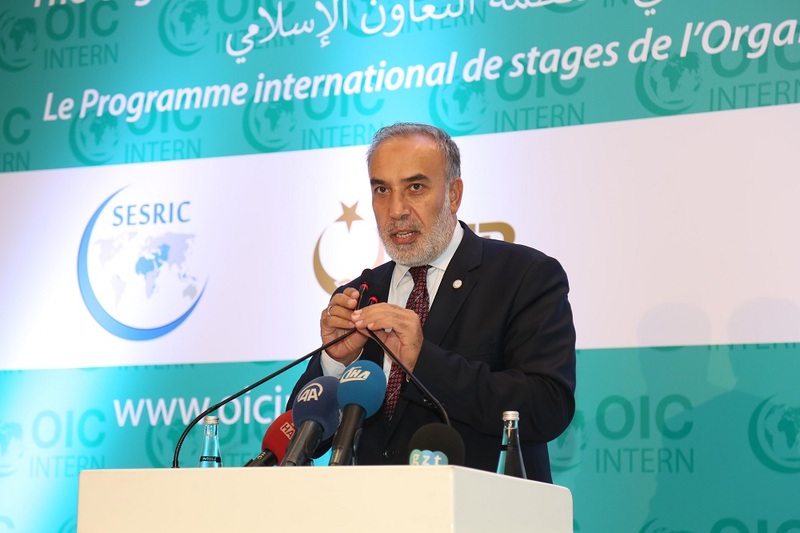 Musa Kulaklıkaya, Director General of SESRIC, addressed the gathering at the opening ceremony and stated that the Internship Programme will contribute significantly to the objectives the OIC and the OIC-2025 Programme of Action. Referring to the objectives of the Internship, H.E. Amb. 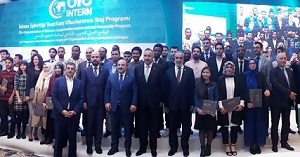 Kulaklıkaya continued by saying that the aim is to create more opportunities for the entry of the students into the labour market. 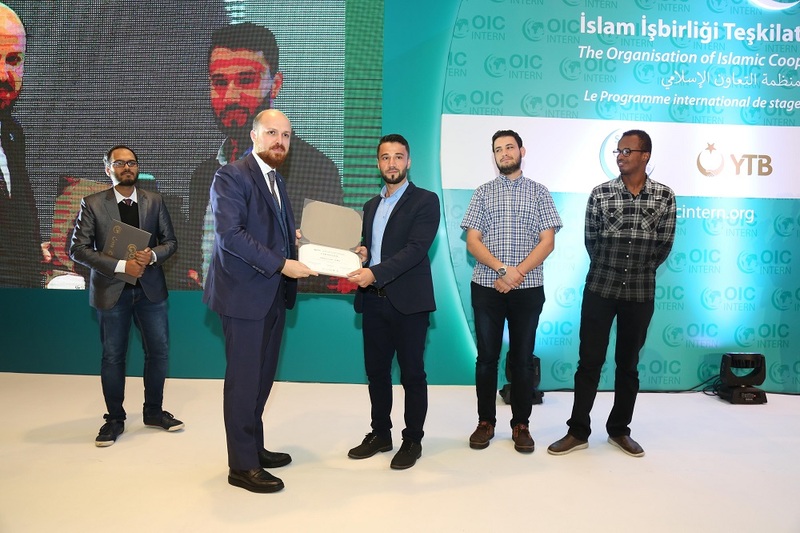 This will increase the capacities of the labour market and help improve the economy in the Islamic Countries. Speaking at the Ceremony, H.E. 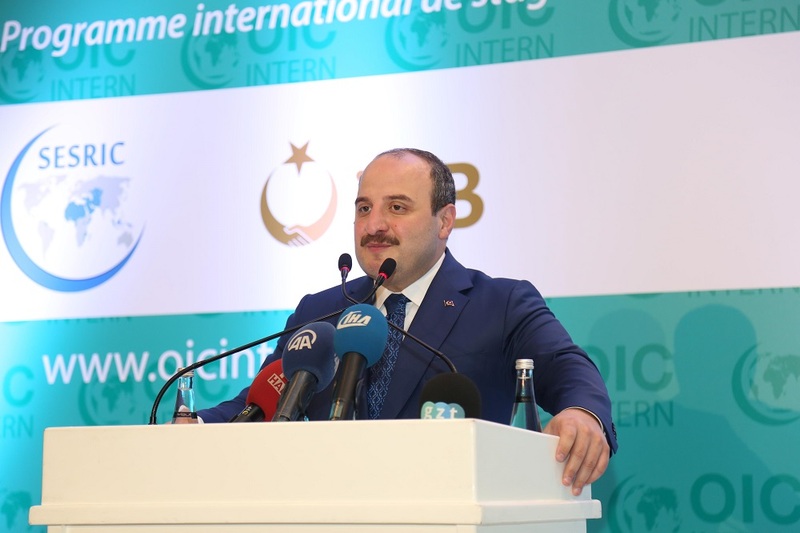 Mr. Mustafa Varank, Minister of Industry and Technology of Turkey, showed his support for the Programme and expressed his desire for more Islamic countries to be include in the future. 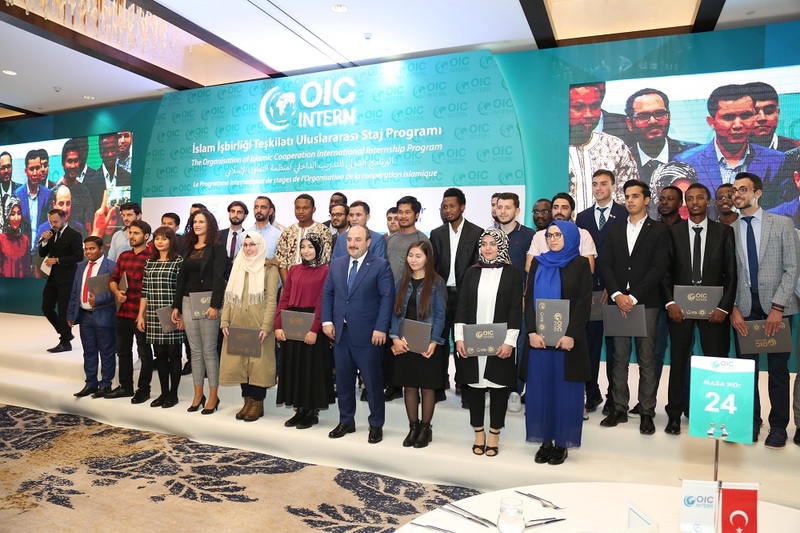 Representatives of institutions and organisations, including Albayrak Media Group, Turkish Airlines, Anadolu Agency, TRT, Turkish Red Crescent (Turk Kızılay), Maarif Foundation, Mental HR Concultancy, ORSAM Takasbank, etc., received as well a certificate of appreciation for their contribution to the successful implementation of the Internship attended the programme,. 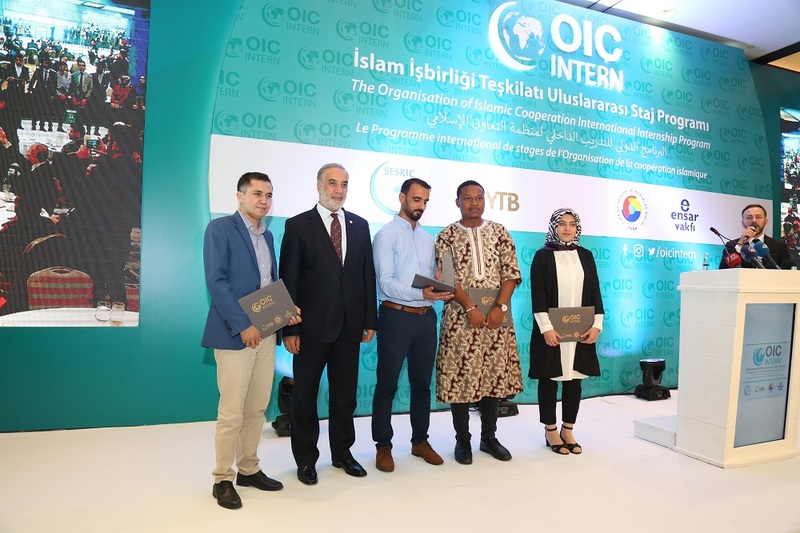 The OIC Intern Programme is an initiative of SESRIC, the Presidency for Turks Abroad and Related Communities (YTB), Ensar Foundation and the Union of Chambers and Commodity Exchanges of Turkey (TOBB) for students of who are citizens of OIC Countries. 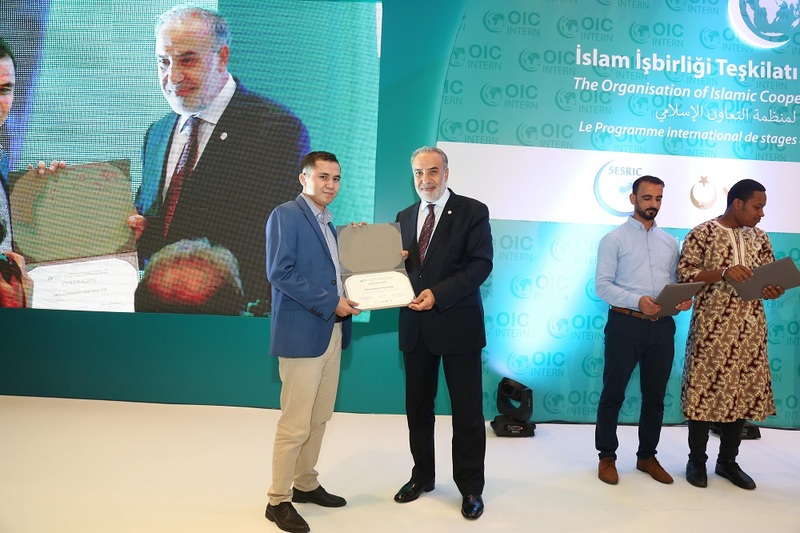 The aim of the Programme is to facilitate the entry of students in the labour market by offering them an opportunity to develop their knowledge and skills in the work environment. 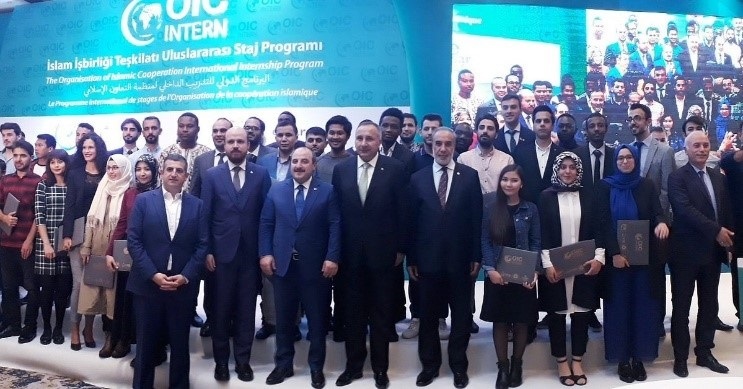 After the conclusion of the pilot phase that started in 2017 in Turkey, the OIC Intern Programme will expand to other OIC Countries, targeting a larger number of students and thus generating a network of young professionals and workers that will help encourage the economic competition and improve the quality of the workforce in Member Countries.